David's Electric Road — Quirk Cycles | Custom Steel Bicycles Handmade in London by Framebuilder Rob Quirk. When it comes to custom bikes there are a few types of customer. Some have very specific ideas when it comes to how they want their bike to look and ride and will be intimately involved in the design process. Others, having seen our work, surrender to the experience and let us run with it. Often though most sit somewhere in between the two. 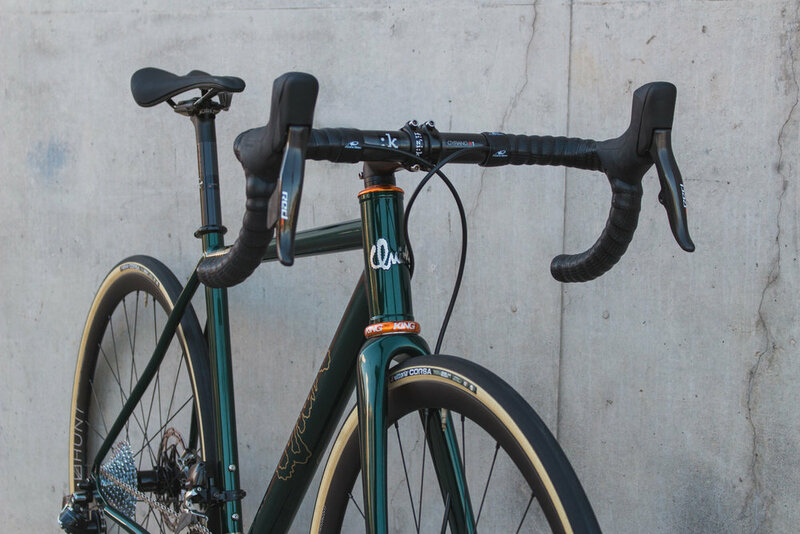 David had been following our work for a while, he knew he wanted a Quirk, something classic that sat between our All-Road design and a classic road geometry. He liked endurance geometry but never imagined he would size up bigger than a 28c tyre. When it came to the design of the frame and ride quality that was his only caveats, that and no seat stay bridge. The heart of the design takes the endurance geometry of our All-Road and tightens it up a little. We kept the angles a little steeper and pulled the fork in a bit for quicker steering. At the rear we slightly shortened the chainstays for faster handling but still kept some length in there for comfort and stability. With the tubes we went for a more race orientated tube set mixing Columbus HSS and Spirit. This would keep the weight down nicely and confident that the frame will only ever be on tarmac we could use thinner tubesets. All this was then tied together with a Columbus Futura Disc fork with thru-axle to keep the handling smooth and predictable. Having let us run with the design of the frame David took sole control of the paint design. 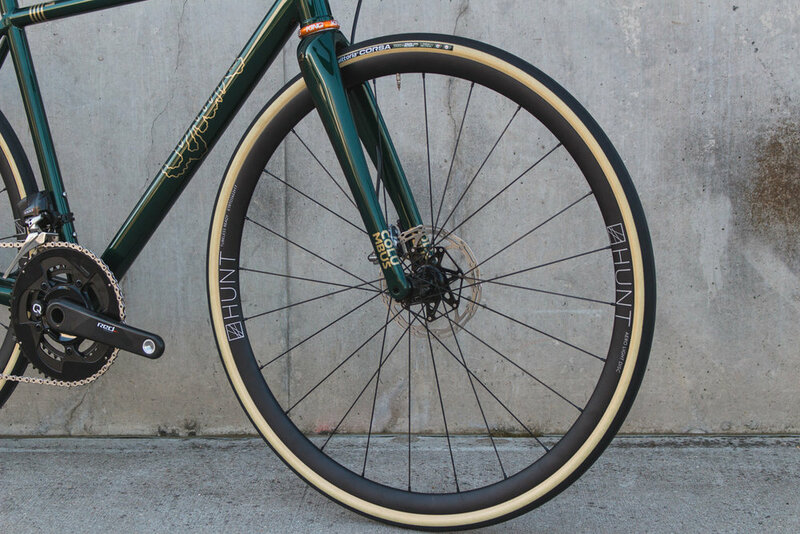 His old frame had been decorated with the green and yellow electrical paint found in hardware shops and using this as his starting point David designed a stunningly classic scheme of British racing green contrasting with gold details. Homage to the striped tape can be seen throughout the paints design but details were kept simple and considered. I think we can all agree it worked out perfectly.